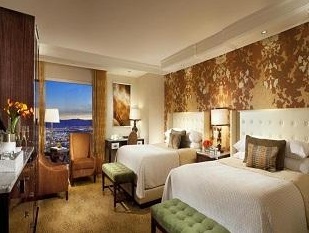 Across from Paris/Ballys/Planet Hollywood and to the south of Caesar's Palace, this resort is in the heart of the action. 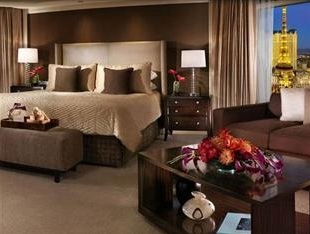 The Bellagio Resort and Casino is located at Center Strip, the most popular area in Las Vegas. 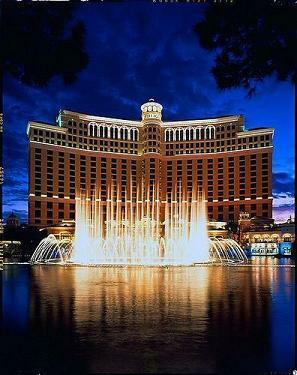 Presently Owned by MGM Resorts, The Bellagio was Opened in October of 1998. The property was originally The Dunes Hotel and Casino. 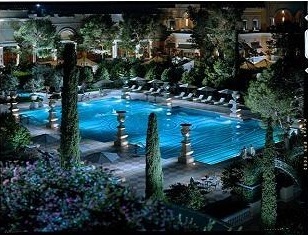 The Resort was built by Steve Wynn and later sold to MGM. It was inspired by Steve's travels to Italy. Bellagio Resort is a destination Resort, many People arrive at Bellagio and never leave until They are heading to the Airport. There is world class shopping on the property, fine and casual dining and probably the best buffet in town. There is now a tram that will transport You to CityCenter . 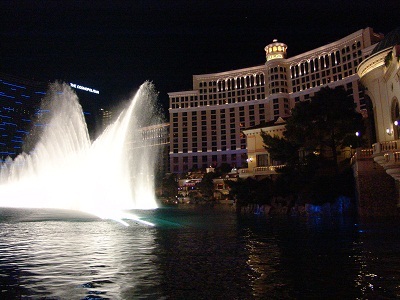 The Bellagio Fountains are one of the most popular free shows in Las Vegas. Even locals will stop and watch the shows. 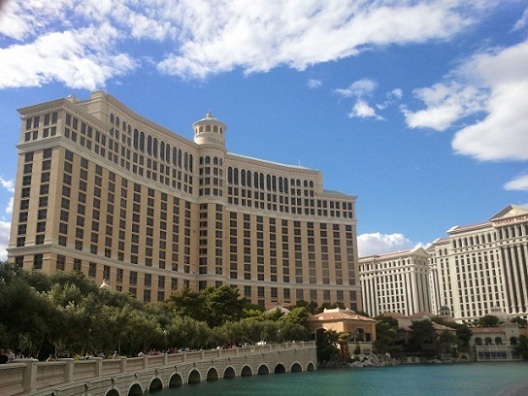 The shows are set to music and Bellagio adds new themes often enough that not even the employees get tired of watching. 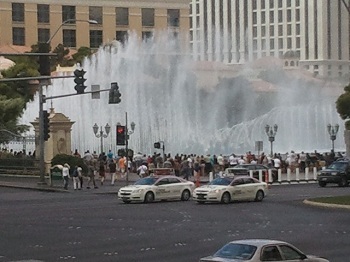 During the day the fountain shows are every half hour and at night, every 15 minutes. Cirque Du Soleil is a long running Show at Bellagio. These Shows are an incredible display of world class athletes doing things that You would wont believe. Check this and more Bellagio Shows here. Besides shows like Cirque and "Love" the free show at the front of the Resort draws the most spectators. 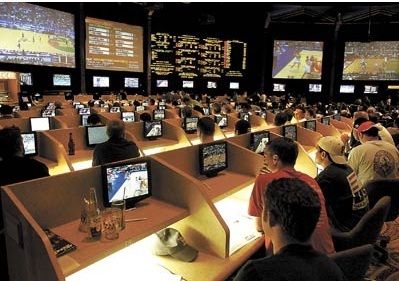 Bellagio Sports book: I thought I had seen the top five in Vegas but this one is so far in front of those its just crazy. The seats in this book must cost thousands each. Huge room with all lcd’s at the seats, crazy high tech digital screens on the walls. This is a very classy crowd and high betters. You are not likely to last long if you are yelling at the tv when things aren’t going your way. All the popular Slots, Video Poker, Keno machines, Penny slots, Electronic roulette, Baccarat, Black Jack (some double deck tables), Casino War, 3 card Poker, Let it Ride, Poker Room(38 tables many lcd’s everywhere) , Pai Gow poker, Roulette, Caribbean Stud, Craps, Progressive Slots. And some newer games: Crazy 4 Poker, Ultimate Texas Hold’em. 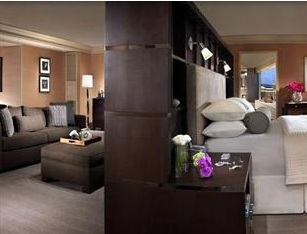 Bellagio High Limit Room: Slot room and another for Baccarat and yet another for Black Jack and Roulette. Overall Atmosphere: Incredible!! The casino is over the top modern just what you would expect after seeing the water show at the entrance. The Bellagio Fountains seen from Planet Hollywood.